We all watch streaming have a great time streaming and we can agree that streaming is fun. So why aren’t you streaming your games yet? It takes less than 15 minutes to start. I am sure you already have an account with Twitch, but if you do not, go Sign UP. Ones you sort that out go get your Stream Key. To do that, go to your Dashboard page, click on the Stream Key link and from that new page click on Show Key. You are going to need that key in a few minutes, so keep that tab open for now. Next, you need to download the Open Broadcaster Software from. 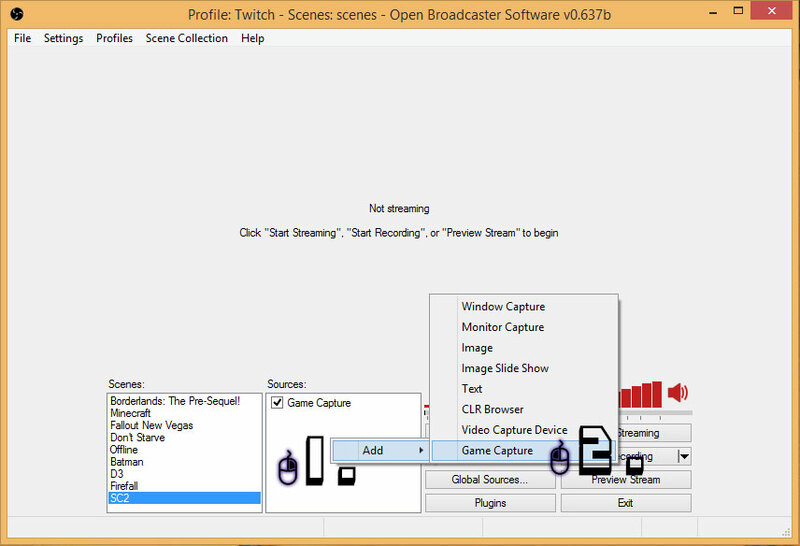 Install and start the OBS and go to the Broadcast Settings section and that is where we are going to insert the Stream Key from Twitch. You can ignore the rest of the settings in OBS. We will cover those in our next how-to. Good job, you got through the hardest part of this tutorial. Right now, you should have your twitch account open in a browser and OBS running at the background. Go to the browser and go to your dashboard. There you will find the “Title this broadcast” section. Enter the game you are about to play and the title of your stream, click “Update”. 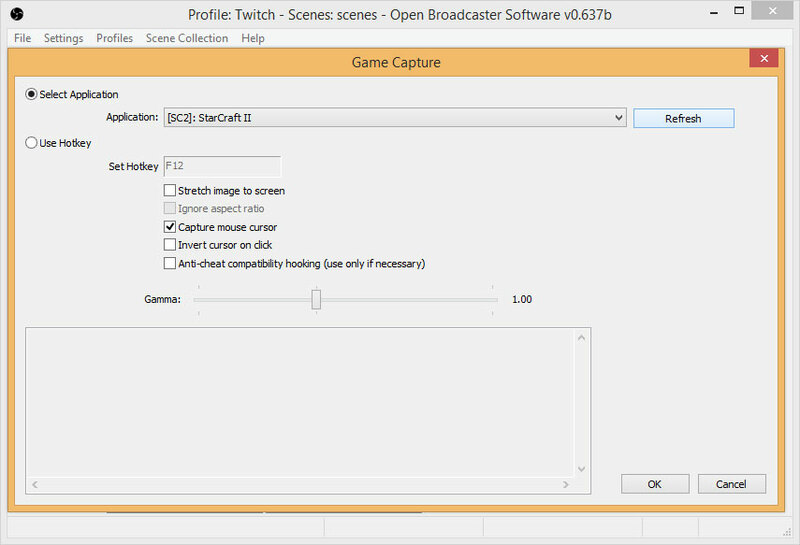 Start your game and when it is loaded go to OBS to capture the game. Now, right click on the “Scenes” section and add a new scene, I usually use the game name, but you can name that whatever you want. Next, right click on the “Source” section and add a “Game Capture”. Last, confirm that your game is has been selected under “Application”. Now all you have to do is click “Start streaming” and you are LIVE! Tell me how you started streaming and who you like about streaming?